Nagarkurnool is a city in the south Indian state of Telangana. Nagarkurnool RTO plays a key role in managing the traffic and transport in the city. Transport commissioner operates this RTO as per the instructions of the motor vehicle act of 1988. Nagarkurnool majorly contributes in framing the policies for the smooth operations of transport and traffic. The major contribution of Nagarkurnool RTO in this regards is issuing registration copy( RC) to all the new vehicles. It is issued only upon successful verification of the documents submitted by the vehicle owners. Nagarkurnool RTO grants all the permissions as and when required. These permissions are related to granting the road permits and renewals. Others are related to commercial fleets. RTO in Nagarkurnool also plays a key role in allowing the flow of any imported or tourist vehicles. Nagarkurnool RTO assists in the online disbursal of all required details. Online presence saves lot of time of the users by handy availability of all RTO details. Through the online platform, it also schedules a lot of appointment for an offline visit. 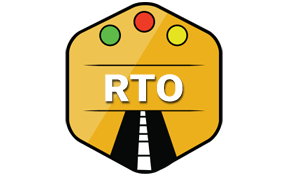 Nagarkurnool RTO helps in issuing all kinds of driving licenses. From learning license to international, it's authorized to sanction all. Types of license it issues are tabulated below. Learning license, having validity 6 months. Driving license that is valid for 20 years. All these types of licenses are issued after thorough verification of documents of aspirants and successful completion of the driving tests. The district transport office (DTO), Abbas nagar main road, Nagarkurnool, Telangana - 518002.